No one seems to mention that a tunnel might just blast through waterfront Indian archeological sites without a soul knowing of it. Good for viaduct replacement project scheduling, I suppose, but not so good for archeological study and preservation. Facebook thinks I should friend some guy named David Goldstein. Intelligent Tunnel Design….is digging a wide tunnel in silt and regraded land, abutting a very large body of salt water, in an earthquake zone, on the edge of Pacific Ring of Fire. What could go wrong? David, it’s very conspicuous that you’ve ignored two front-page stories in The Seattle Times regarding Jim McDermott, on Monday and Tuesday. First, do you think it’s appropriate for Jim to give an earmark for the repairs of the exclusive Rainier Club? Second, in the spirit of your recent posts about incumbents at the state level, should somebody challenge Baghdad Jim and Elizabeth Becton, Jim’s scheduler and office manager? Can’t speak for David, but I’d like to see serious, credible challenges to every seat (I’d also like to see congressmen sever for 4 years) every time. @3: You forgot to mention the melting of the polar ice caps which will raise the level of the Sound. A rising level of Puget Sound doesn’t matter when the tunnel is already below sea level. It seems like you are keenly aware of what a terrible mistake this deep bore tunnel plan is. Why not give some more attention to the one mayoral candidate that can help Seattle dodge it? You and Mike McGinn seem to agree on this massively important issue. If we are interested in progressive leadership for the city of Seattle, the tunnel issue should be a pretty big test. How progressive can a candidate be who buys the load of BS being sold to us by the DI and their friends in Olympia and City Hall. Nickels, Mallahan, and Drago are all happily going along with what is obviously a horrible and budget-crippling plan. Let’s demand some real leadership on this issue. It’s going to affect all of us for a long time. Goldy, I think you’ll find the problem with the tunneling for the 13 mile (a little longer than the downtown tunnel will be) waste treatment tunnels, is that they are going thru wet soils (350 ft down). There is actual water pressure in front of the cutting machine which has to released before they can get at the cutters to do the repairs. @9 – Yep! if the south tunnel entrance flooded, it would also mean that all of SoDo/Georgetown/Harbour Island/waterfront was flooded. So probably wouldn’t be the biggest concern of the day. The deep bore tunnel does not go by the waterfront. Perhaps you have that confused with the original cut and cover design. Check the WSDOT website. Goldy the distance of the deep bore viaduct tunnel is quite a bit less than the Brightwater (what a euphenism) tunnel. A better comparison for the deep bore viaduct tunnel would be the recently dug Beacon Hill tunnel. People please name one major civic project anywhere that doesn’t have cost overruns. Yes, there will be cost-overruns. It a once in a life time project, and the best option for the replacement viaduct monstrosity period. When you remodel your freaking house there are more often then not cost overruns. It’s the nature of building things. Many things will come up that add to the cost. Get use to it. Can we just move to the construction phase please. Your going to learn to dig the tunnel once it’s completed believe me. 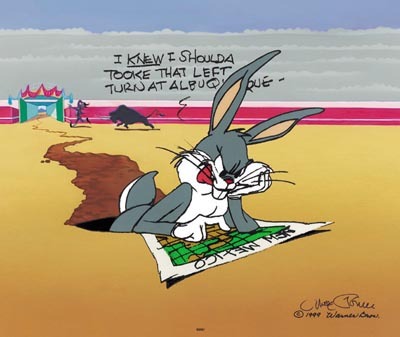 @13: As long as Donkey are in charge of the project it’ll be like the Big Dig…with big cost overruns. Bechtel, they overran the big dig, they give to both political parties and have some very lucrative Iraqi contracts, yet you never hear headless lucy and all he/she/it’s complaints like he/she/it’s on Halliburton. We all know why too. No we should not just cover our eyes to the cost overruns and start digging. Did you not hear that Seattle has to pick up the tab for all of those unavoidable cost overruns? I don’t think we even have the $900 million for the seawall portion of the plan Seattle is supposed to pay for. what should we cut to pay for the cost overruns?